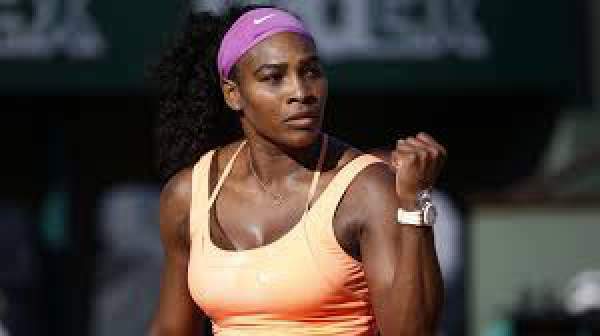 Till date, the American tennis player has won 21 grand slam titles. She is on her way to equal the record of Steffi Graf, who won 22 grand slams in her career. On the other hand, opponent Rybarikova placed #77 in the world rankings is still a undergo as she has never crossed the round two at Roland Garros in the last eight attempts. But it should be remembered that she once defeated #7 Belinda Bencic in the Indian Wells in March 2016. However, Serena would love to start her campaign on a bright note as she failed to win one grand slam earlier this year. She lost to Angelique Kerber in 2016 Australian Open final. This year, the career of 34-year-old American star tennis player has been full of ups and down. After Australia Open, she lost in the final of Indian Wells against Victoria Azarenka. It should be noted that she may face her in the French Open 2016 quarterfinal. After that, she suffered loss in Miami Open and this time to Svetlana Kuznetsova of Russia. Serena’s stars just got picked up when she won at the Roland Garros 2016 and fetched the Italian Open title. She defeated Madison Keys in the final match of the tournament earlier in May 2016 itself. Following Serena’ strength, Rybarikova has a lot of work to do on the court just to skip or avoid the straight set defeat. Williams is looking forward to her 4th French Open title. The opponents of this match earlier faced each other in 2013 when Slovakian got beaten in straight sets at the Rogers Cup. Magdalena Rybarikova vs. Serena Williams is scheduled to start at 4:30 pm GMT (10 pm IST or 12:30 EST) on May 24 at the Phillipe-Chartier Court. It will happen as per the schedule and order of the play. Neo Sports and Neo Prime will telecast it live in India. The UK audience can catch the live updates on ITV and ITV Player. Eurosport and Eurosport Player are available in Europe for the same purpose. The US residents can watch the game on Tennis Channel, ESPN, and NBC. For Serena Williams vs Magdalena Rybarikova Live Streaming, they can prefer Tennis Channel Live, Watch ESPN, and NBC Sports Live Extra. For the people residing in Hong Kong, Thailand, and Singapore, they can catch the live action on Fox Sports Asia. The radio audience can reach via Roland Garros Radio. Next articleSarbjit 5th Day (5 Days) Box Office Collection Tuesday Report: Is it a dead end for Aishwarya Rai’s Bollywood career?